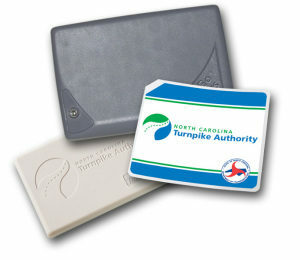 RALEIGH, N.C.–(BUSINESS WIRE)–After one of the industry’s most sought after technology procurements, TransCore, a unit of Roper Industries (NYSE: ROP), today announced that the North Carolina Turnpike Authority (NCTA) has selected TransCore to provide radio frequency identification (RFID) technology statewide for North Carolina’s wireless toll collection systems. 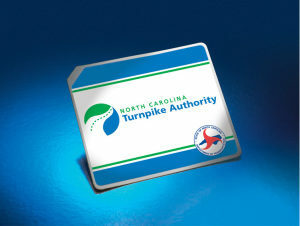 The first installation will be on North Carolina’s new all electronic toll road the Triangle Expressway. The contract value is an estimated $5.9 million and includes providing Encompass 6® multiprotocol RFID readers, eGo Plus RFID paper-thin, batteryless windshield sticker tags, and eZGo Anywhere™ multiprotocol transponders along with selected support services. The $1.02 billion, 18.8 mile Triangle Expressway toll road system is comprised of three segments including the Western Wake Freeway, Triangle Parkway, and existing N.C. 540 between N.C. 55 and N.C. 54. The Expressway will utilize a barrier-less, all electronic RFID-based toll collection system and is scheduled to open in 2011 while the Western Wake Freeway is scheduled to open in 2012. NCTA evaluated advanced technologies looking for the best value option for North Carolina motorists and one that would spur statewide adoption along with providing interoperability with other systems along the east coast from Maine to Miami. North Carolina’s geographic location provided NCTA’s leadership the opportunity to establish a bridge between the Northeast’s Interagency (IAG) states and states to the South, such as South Carolina, Georgia and Florida, along with interoperability with toll systems in the central United States such as Texas, Oklahoma and Kansas. TransCore operates as a wholly owned subsidiary of Roper Industries. For more information, visit www.transcore.com. Roper Industries (NYSE: ROP) is a diversified growth company and a Standard & Poor’s S&P 500 index company. Roper provides engineered products and solutions for global niche markets, including water, energy, radio frequency and research/medical applications. For additional information visit www.roperind.com. North Carolina evaluated advanced technologies looking for one to spur statewide adoption along with provide interoperability from Maine to Miami.